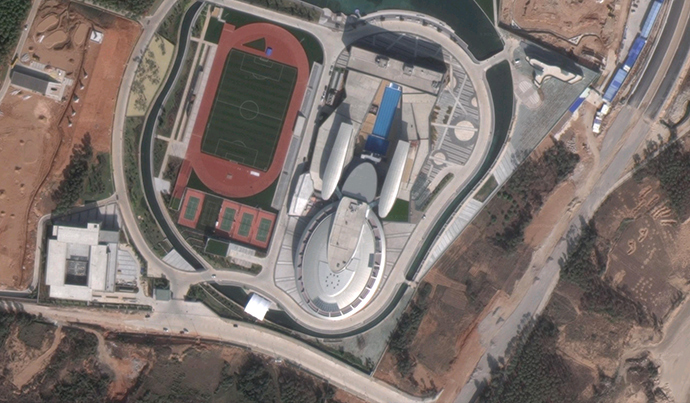 An eccentric Chinese millionaire and apparently one of the biggest fans of the legendary Star Trek franchise has built his company HQs in the shape of the starship Enterprise, where the series’ characters explored new worlds in death-defying journeys. 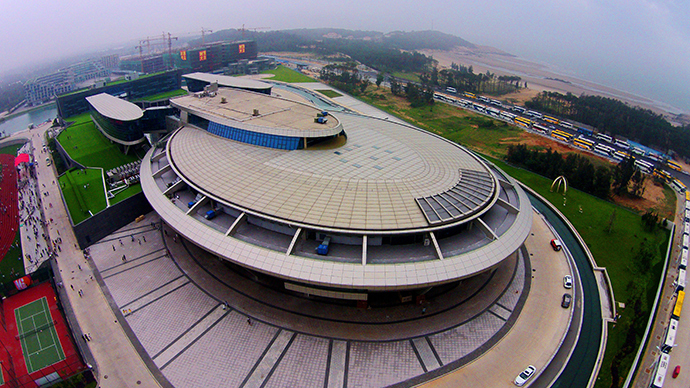 The ‘Starship Enterprise’ is located in the city of Fuzhou, Fujian province, south-eastern China. It has circular contours and tubular features like its twin from the franchise. The ‘spacecraft’ was built by Liu Dejian, the head of Netdragon Websoft Inc, a Chinese company that develops massive multiplayer online games and makes mobile applications, China’s People's Daily newspaper reported as cited by AFP. Liu currently takes 320th place on the list of China's wealthiest businessmen, according to Forbes. It took Liu four years – presumably since October 2010 until October 2014 - and $160 million to build his 260-meter long, 100-meter wide, six-floor ‘spacy’ brainchild. Liu bought the USS Enterprise copyright from CBS, the US broadcaster that produced Star Trek. In fact, this is the only officially licensed Star Trek building on Earth. “That was their first time dealing with an issue like this and at first they thought that it was a joke,” said the company in an email to the Wall Street Journal. Star Trek fans may now see that the structure, a fantastic homage to the Star Trek franchise, is really neat and looks like its famous twin.